Official Contest Rules: Day Trip to D.C. Listeners are directed to register to win on the 97.5 WJIM-FM website (975now.com). Listeners are registering to win round-trip airfare for two (2) from Lansing, MI to Washington D.C. on Wednesday, July 6th aboard an American Airlines flight. One winner will be drawn from all registrations collected during the Contest Period. Winner will be drawn by 10:00 a.m. on Friday, July 1st.The flight to Washington D.C. will depart from Lansing at 6:30 a.m. on July 6th and arrive in Washington D.C. at approximately 8:04 a.m. the same day. The flight back to Lansing will depart Washington D.C. at 5:00 p.m. on July 6th (same day round-trip flight) and will arrive in Lansing at approximately 6:53 p.m. No purchase necessary. 97.5 WJIM-FM and Townsquare Media are not responsible for anything regarding the flight from American Airlines, including but not limited to: missed flights, flight delays, luggage damage, plane/instrument malfunction, pilot error, plane crashes resulting in injuries and/or death of passengers. 97.5 WJIM-FM and American Airlines are not responsible for ground transportation while in Washington D.C. or any other costs associated with trip. 97.5 WJIM-FM, Townsquare Media, and American Airlines does not guarantee the safety of participants in this contest. By participating, contestants agree that 97.5 WJIM-FM, Townsquare Media-Lansing, American Airlines, its officers, agents and employees will have no liability whatsoever for any injuries, losses or damages of any kind suffered by participants, as a result in whole or in part, directly or indirectly relating to this contest. 97.5 WJIM-FM, Townsquare Media-Lansing, and American Airlines are not responsible for the negligence of the contestants. Anyone participating in the contest must follow the rules of the contest, as well as the rules and regulations of American Airlines. 10.  97.5 WJIM-FM may at any time during the promotion and at its absolute discretion terminate or suspend the competition. 11. All decisions made the monitors and judges appointed by 97.5 WJIM-FM WILL BE FINAL.